hasn’t just been around the block. He’s been around the world. After a long and successful career in corporate America, Larry Jacobson fearlessly abandoned his financial security and comfort to sail around the world and fulfill a lifelong dream. During his six years circumnavigating the globe, he accumulated priceless and hard-won souvenirs -- new insights on how to master your fears and limitations, persevere through the inevitable storms on the way to success, and live out your dreams against all odds. Larry's dynamic recounting of his incredible journey, and the lessons he's drawn from it shine a navigational beacon of inspiration for anyone who's ever aspired to achieve great things in business or in life. In addition to his inspirational and captivating messages promoting dream realization and pursuit of success in the midst of adversity, Larry's customer service keynotes are highly sought after. In 20 years of business, Larry never lost a customer to a competitor in a highly competitive industry, which he credits to consistently and creatively exceeding expectations of his clients. In fact, his clients became a raving word-of-mouth referral system. Now, Larry aspires to teach his proven customer service techniques to the next generation of entrepreneurs, putting the customer back in customer service--one business at a time. 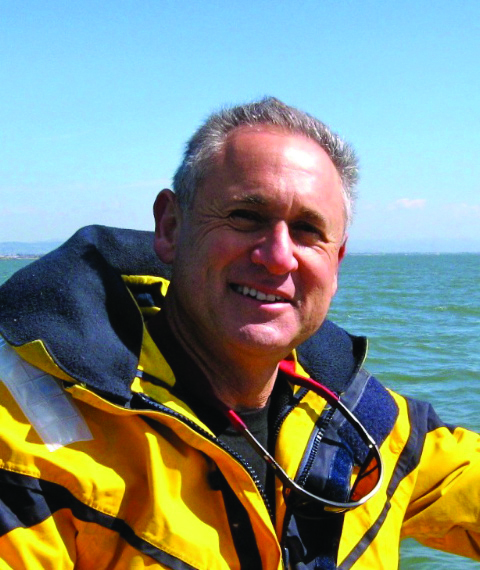 A California native, Larry Jacobson grew up on the beaches of the Pacific Ocean sailing, kayaking, swimming, and scuba diving. With degrees from the University of California Irvine and Berkeley, his entrepreneurial and adventurous spirit flourished when he started an adventure travel company leading whitewater-rafting explorations on then-unchartered rivers in New Zealand. Sticking with tourism, Larry’s career in incentive travel began in 1981 as the industry began its hyper-growth. Five years later, he founded Creative Incentive Group and partnered with World Class Incentives. Larry led both companies to an influential status in the incentive travel and meeting planning industry. In key sales and marketing roles, Jacobson analyzed client distribution systems and expertly applied incentives to increase their sales, while producing memorable events recognized industry-wide as dramatic and one of a kind. After 20 years in the business, he seized the opportunity to make his dream of a lifetime — sailing around the world — come true. The account of his adventures at sea is now published in the Award-Winning Best-Seller, The Boy Behind the Gate. During his odyssey, Larry and his crew faced innumerable challenges, learned the true meaning of perseverance, and experienced first-hand why so few people who set sail to circumnavigate complete the journey. In fact, twice as many people climb Mt. Everest each year. As a motivational speaker, Jacobson shares how he made his dream come true, and the traits and disciplines needed to achieve great accomplishments in one’s own life. In addition to the importance of having a dream, he speaks about setting goals, the decision-making process, and the risks he took by leaving everything behind. Through stories of harrowing storms in the Red Sea, repeated mechanical breakdowns, and his new role as captain, Larry shares his fears and how he used them to his advantage. From the tsunami in Thailand to pirates in the Gulf of Aden, the six-year journey presented an astonishing number of life-threatening events, any one of which could derail such an undertaking. Instead, taking each trial to task at the moment of decision taught Jacobson to mark the worth in every day. As a speaker, Larry inspires his audience to do the same. he knows how to make your job easy and your event a success! Find out more about Larry Jacobson Adventurer, Author, Coach at http://www.larryjacobson.com/.